Cardi B and Offset are now officially back together, and now there are pics to prove it. 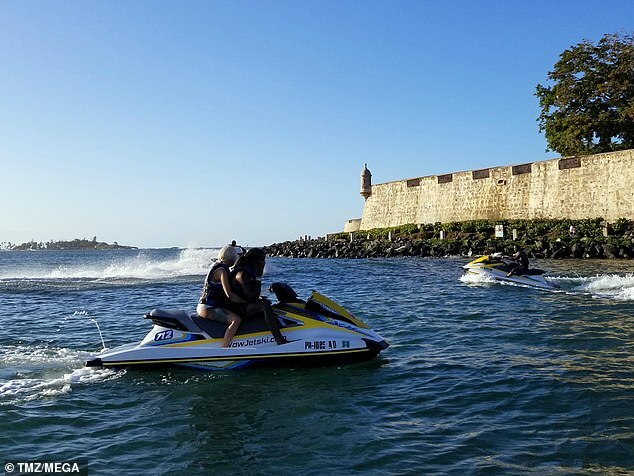 Cardi and her husband were photo’d on a jet ski in Puerto Rico, and clearly they have reconciled. 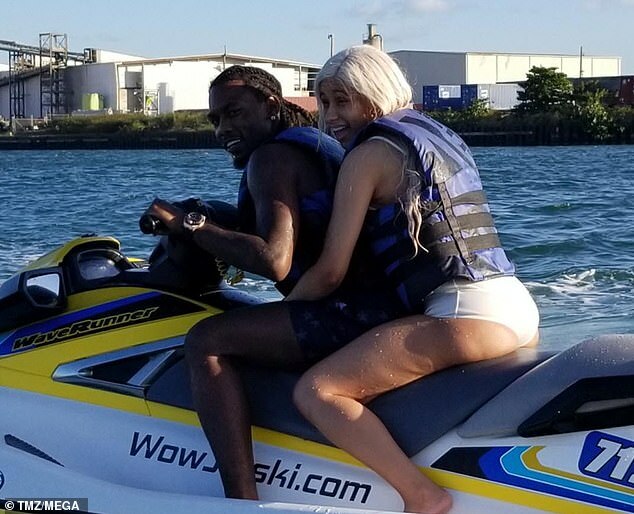 Over two weeks after Cardi, 26, announced her split from the Migos rapper, 27, following one year of marriage, the pair was reunited during a vacation in Puerto Rico on Friday. Both shared videos from their trip on their respective Instagram Stories, which did not mention nor feature each other. 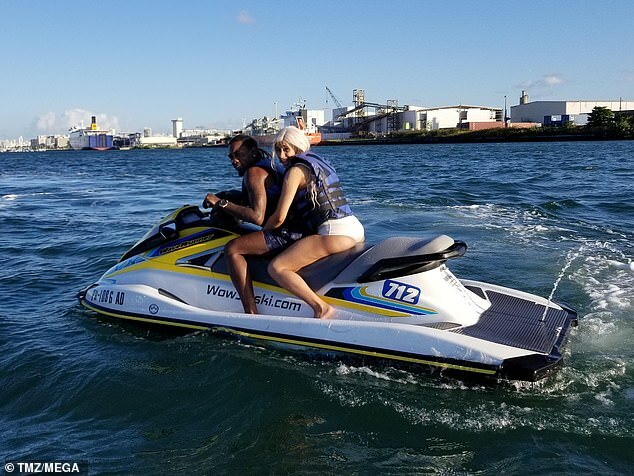 However, in photos obtained by TMZ on Friday, Cardi, who was dressed in a white bathing suit and blonde hair, and Offset, who was dressed in star-patterned swim trunks, were pictured riding a yellow jet ski together with the mother of one’s arms around her estranged husband’s waist. As MTO News reported last week, Offset offered to pay Cardi B $10,000,000 if he’s ever caught cheating again – and it appears that Cardi’s accepted his offer. For a while it looked like that Cardi was planning to stand by her decision to end her marriage. But her love for Offset, and his generous $10M offer were just too much to turn down. 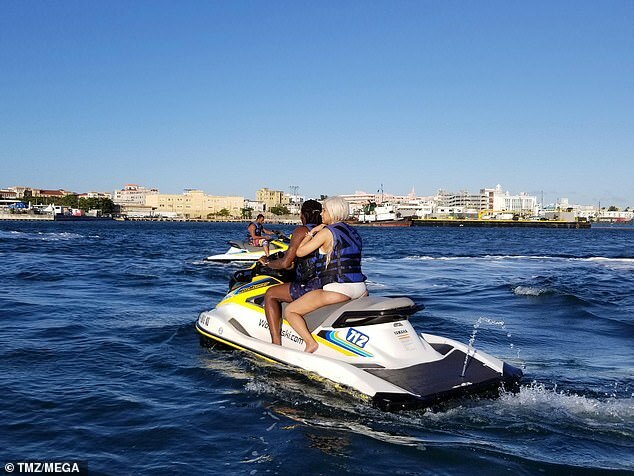 Offset and Cardi were spotted yesterday, vacationing in Puerto Rico. Cardi was in town for a performance at the country’s largest arena. The couple is planning on returning to their home in Georgia for Christmas – to celebrate the holidays with family and daughter Kulture. Then Cardi and the Migos will be traveling to Australia to ring in the New Year.